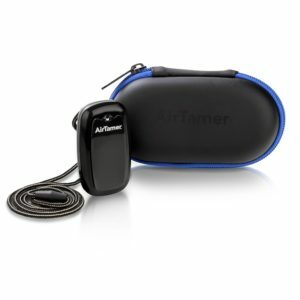 The new AirTamer® Advanced A315 uses the latest digital electronics and battery technology to pack the most performance into a small and stylish form. With a 10% improvement in cleaning performance in a design that is 31% smaller and 23% lighter, the A315 is perfect for travel and mobility. It even includes a zippered hard case for storage and protection. Don’t get caught with a dead battery in the middle of your trip – you can easily see the battery charge level on the back of the unit. 4 LEDs means you have lots of battery life remaining. 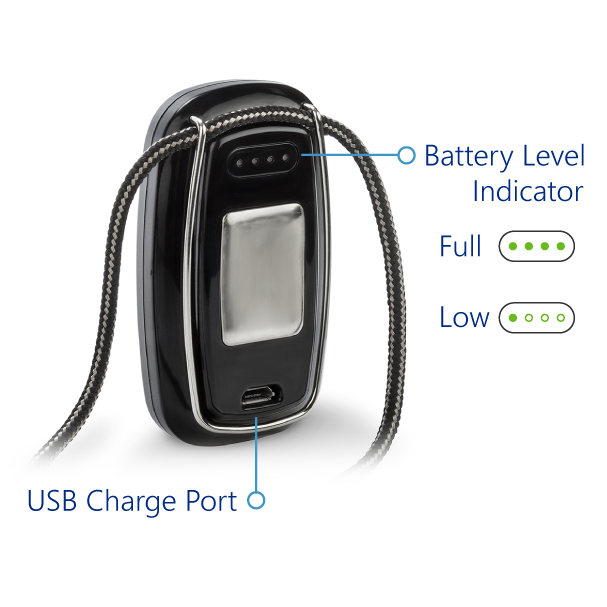 As the battery power is used up, fewer LEDs will be lit and you’ll know it’s time to charge soon. 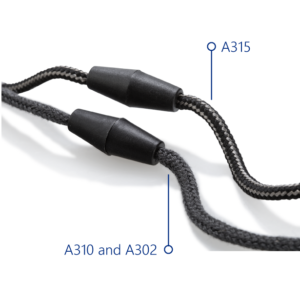 Sometimes with heavy use or accidental damage, the AirTamer ion emitter brush can become worn. 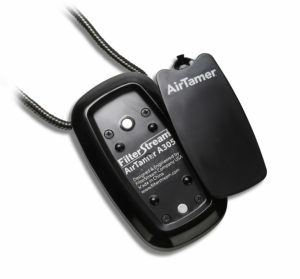 With the AirTamer A315, you can easily restore your A315 to “like new” condition by replacing the emitter brush. Simply pull the old front cover off from the housing – it is held in place by magnets – and place a new emitter onto the unit. The new one will snap into the correct location automatically and your A315 is like new again just like that. 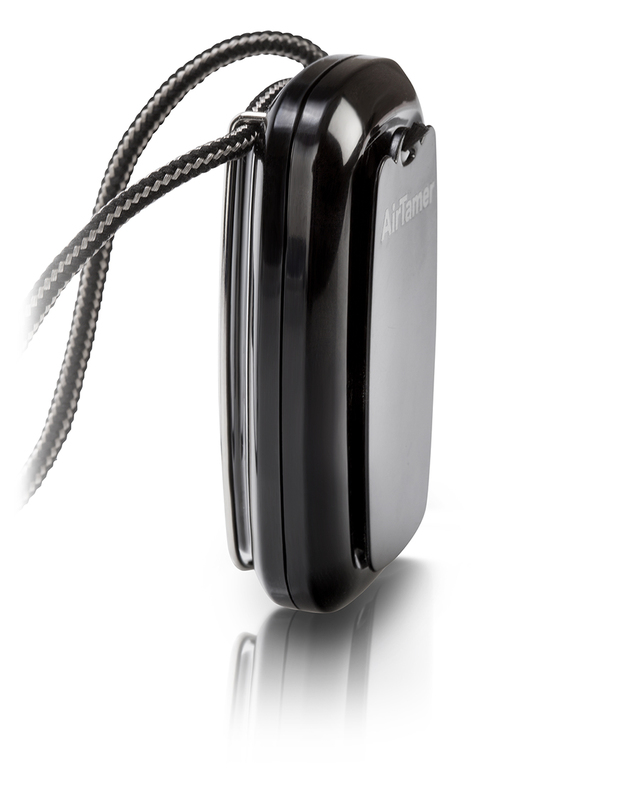 If you would prefer to wear your AirTamer on your clothes, the A315 includes a handy and discrete pocket clip so you can clip the A315 on your shirt pocket, blouse or jacket. Simply slide the clip over your clothes and place the lanyard where convenient (e.g. in your pocket). You can even remove the lanyard completely by sliding it out from under the clip. You can keep your A315 looking brand new with the included travel case. 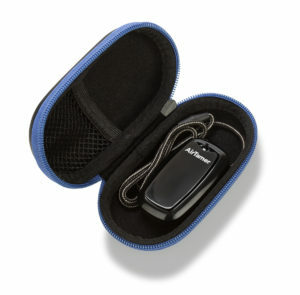 This high quality fabric case protects your AirTamer during storage – whether that is in a purse, backpack or luggage. The travel case also makes a great place to store your USB charge cable and user manual in case you need them while travelling. A new upgraded, conductive lanyard with a premium is also removable and replaceable. The lanyard is easily changed by sliding it out from under the pocket clip. Stay tuned to this website for new lanyard designs in the months ahead. How Does the AirTamer A315 Compare to Other AirTamers? 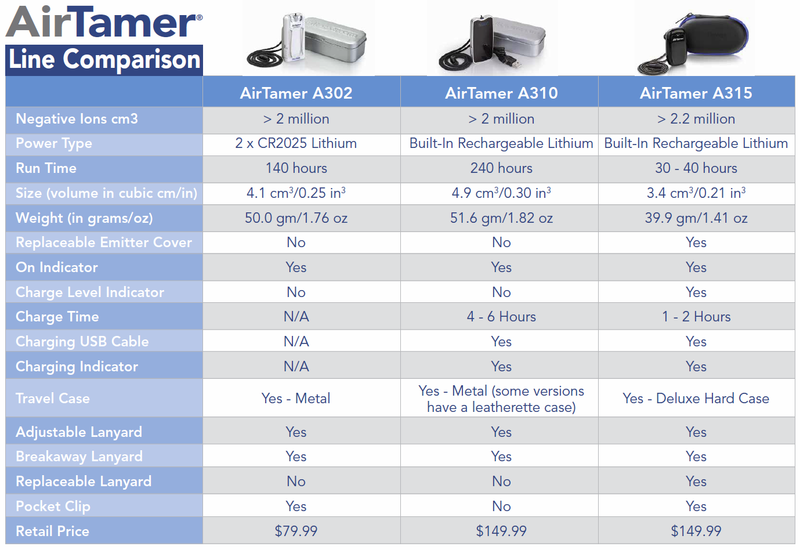 To see how each AirTamer compares, please refer to our detailed chart below.